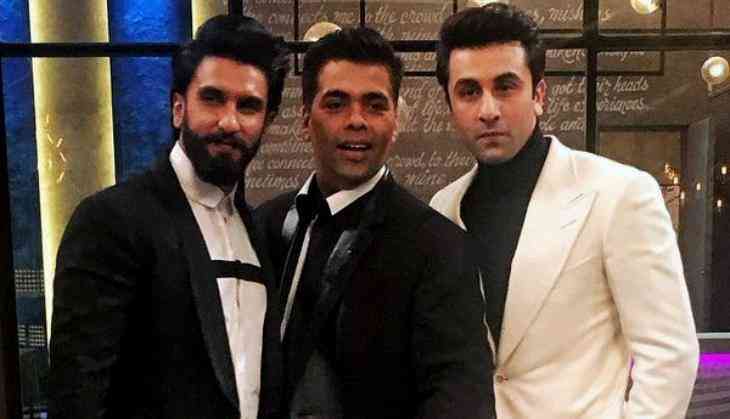 Ranveer Singh is excited to work in Karan Johar's historical drama "Takht", and says he leapt at the opportunity of collaborating with the filmmaker. Ranveer will be seen playing the role of Dara Shikoh in the film. "I'm very excited to be working with Karan Johar for the first time. We've been wanting to collaborate for a long time and it's finally happening and it's happening in the best and biggest way possible," Ranveer told IANS. "Takht' is an amazing story. I leaped at this opportunity to play Dara Shikoh who is one of the most fascinating characters that I've ever come across. A hero in the truest sense," he added. "Takht" will tell the story about a family, ambition, greed, betrayal, love and succession. It is being produced by Hiroo Yash Johar and Apoorva Mehta, for release in 2020. It also features Kareena Kapoor Khan, Alia Bhatt, Anil Kapoor,Bhumi Pednekar, Vicky Kaushal and late veteran actress Sridevi's daughter Janhvi Kapoor. "Karan Johar has put together a stellar cast and a technical crew. I'm very very excited to be collaborating with these accomplished individuals," added the "Padmaavat" star.